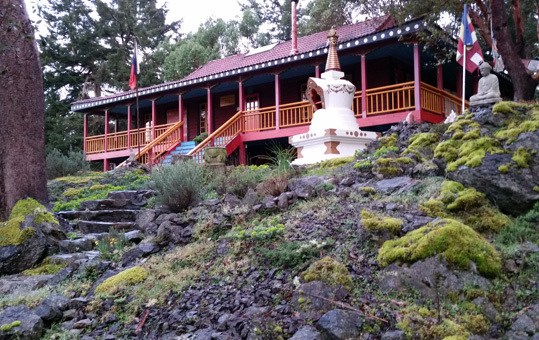 Sakya Kachod Choling is a Vajrayana Buddhist retreat center under the spiritual direction of Her Eminence Sakya Jetsun Chimey Luding Rinpoche. 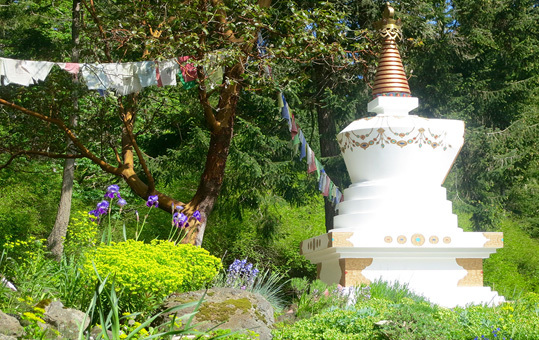 Established in 1987 and blessed over the years by His Holiness the Sakya Trizin and many other masters, the center is located on 20 acres of beautiful tree-covered hillside on San Juan Island, Washington. The serene, natural setting with a view of Mt. 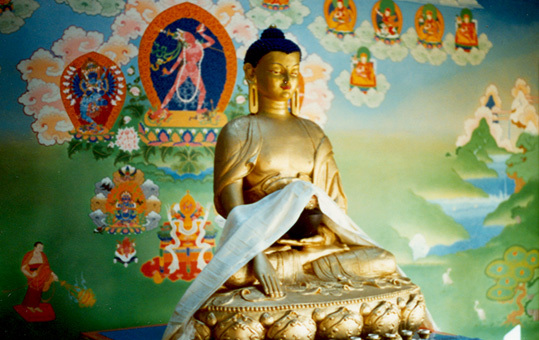 Baker offers a place of refuge and support for Buddhists and non-Buddhists alike year round. 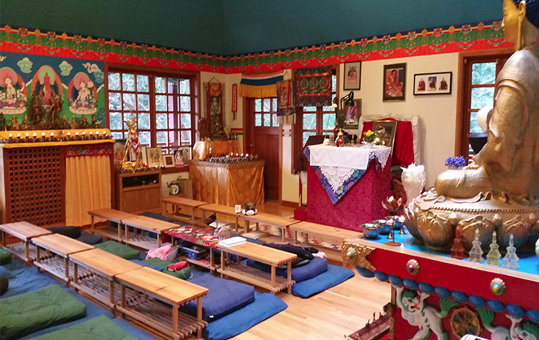 The facilities at Sakya Kachod Choling are designed to offer very affordable space for private, individual retreat and small group retreats. 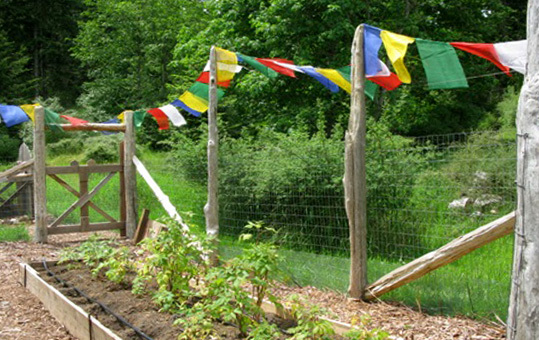 It is an ideal place to step back from our hectic, fast paced lives, to reflect and look inward. 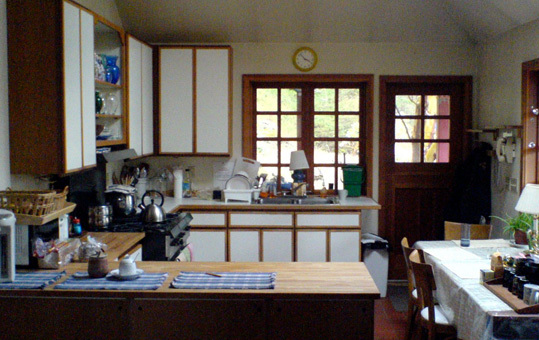 Retreats can range from strict Vajrayana practices to simple, meditative time in one’s room. Walks on the grounds or down the mile-long private road to the waterfront can make the quiet and beauty of the natural setting a wonderful part of your retreat experience. 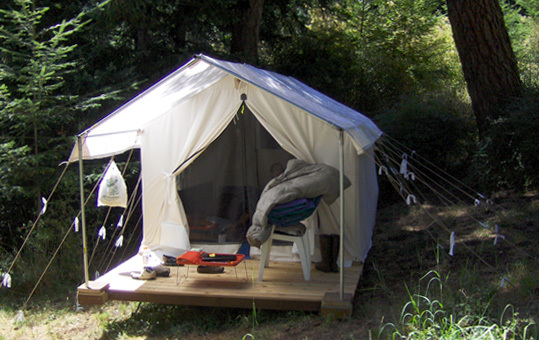 We look forward to supporting your individual practice retreat soon or to seeing you at one of the scheduled group retreats or teachings! 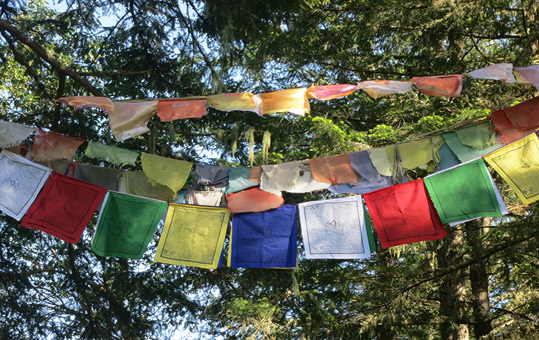 With your support, we will be able to continue to make the Dharma a practical presence in the lives of not only Jetsun Kushok’s students, but also for the benefit of all beings. Please join us and thank you!